After having been continuously on the road for the last three weekends, we thought of taking it easy this weekend and not drive anywhere. However, we soon realized that sitting at home was not an option and driving two days was definitely out of question. That’s when we decided to look at places which could be done as a day trip from Bangalore. 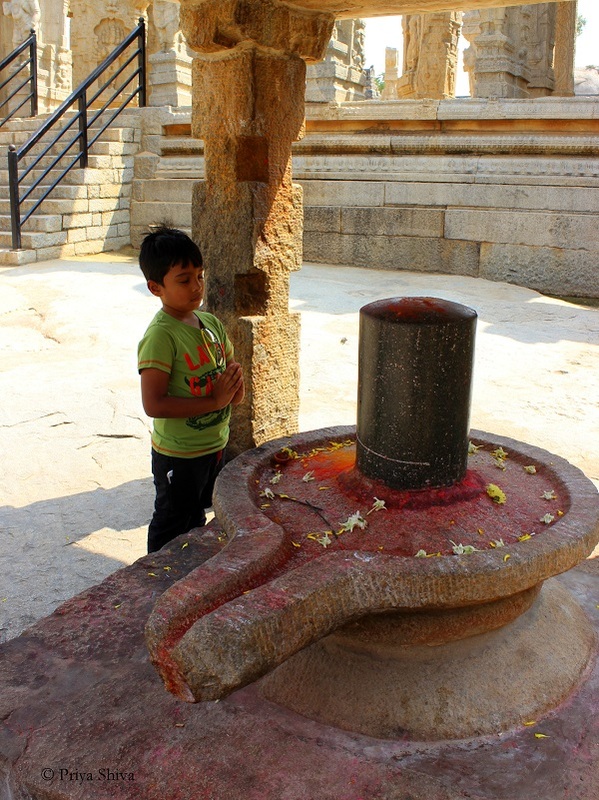 Many options came up right from Nandi hills to Mysore and we finally zeroed on Lepakshi. 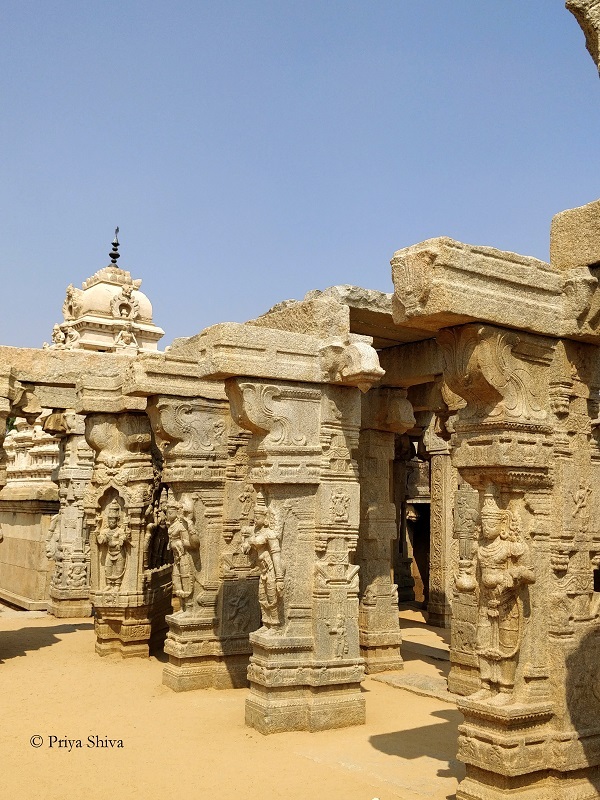 Lepakshi is at a distance of 130 km from Bangalore and it looked like a very doable day trip. In spite of multiple travels out of Bangalore in last 2 years, we never touched Andhra border which was one more good incentive to explore Lepakshi. However, it again boiled down to logistics and being half lazy we decided not to drive down. As every problem has a solution, it just struck us that we could hire a driver or probably book a taxi and comfortably just sit back and enjoy the trip. Just then we remembered a friend of ours had used Saavari Car rentals and had a few good things to tell about their services. On browsing their site, we could see the number of options we could choose from – day rentals, one-way rentals and local car rentals. These customized packages appeared to be a little more sensible and we decided to just book a taxi from their site. We chose the car, the time and were all set for our trip to Lepakshi. 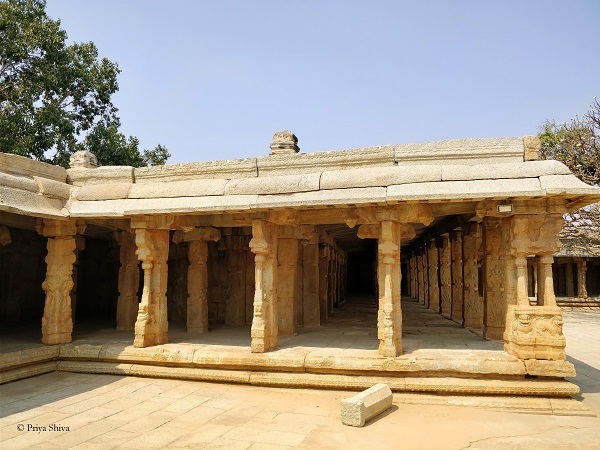 The route from our house till Devanahalli (Bangalore airport) was a breeze at the wee hours of the day and from the highway from Devanahalli to Lepakshi (Hyderabad highway) was a wonderful drive. Siting in the back of the car with no thoughts of managing traffic, stopping for fuels and checking air pressure on the wheels itself was a big relief. After about a small break for breakfast and two and a half hours later, we entered Lepakshi. Our first stop was at the Lepakshi Nandi (bull), a huge monolith Nandhi that apparently faces the Veerabadhra Swamy temple. 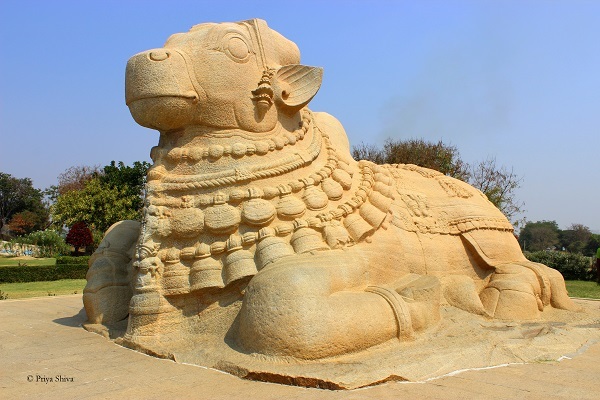 Lepakshi Nandi is one of the main attractions and a well-known landmark in Lepakshi. It was built during Vijayanagara period. The monolithic Nandi sculpture is said to be the second largest monolithic structure in India after Gomateshwara in Shravanabelagola. Trivia has that the head of the bull is held aloft at a higher angle than usual and the usual expression of submission, which is typical of Nandi before lord Shiva, is not seen in the statue here. 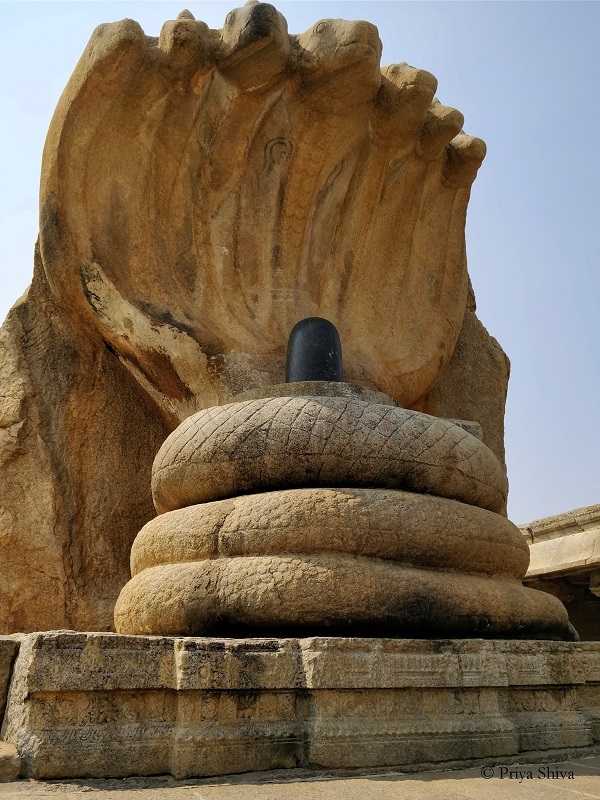 It has been positioned in such a way that it faces the Nagalinga in Veerabhadra Temple Complex. The Typical heat of Andhra Pradesh sent us running for cover. We soon ventured out to the famous Veerabhadraswamy (an incarnation of Lord Shiva) Temple (also referred as Lepakshi Temple). 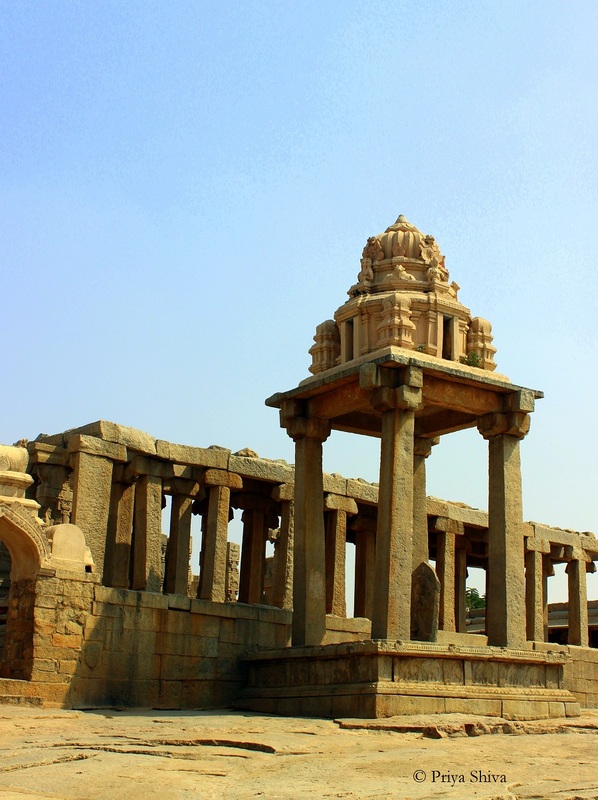 It is famous for its sculptures by the Vijayanagara regime. The inner walls are surrounded by a large mandapa all along with wonderfully carved pillars. 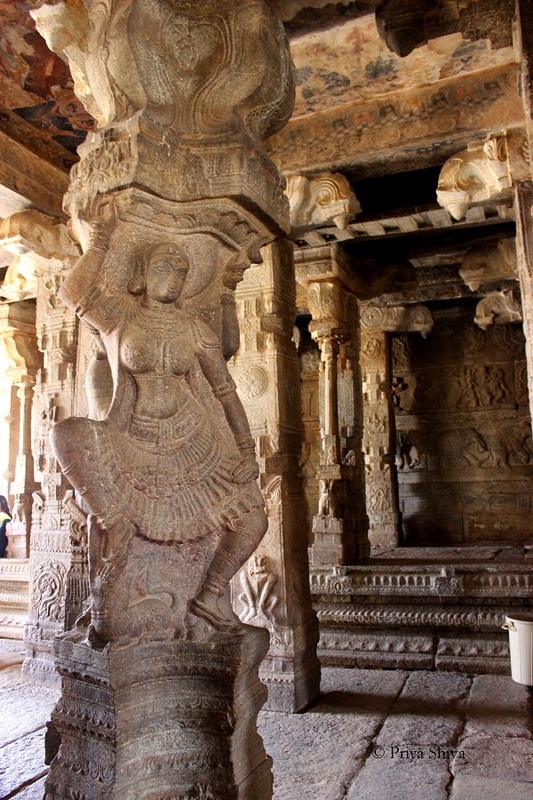 The pillars in the mandapa are carved with breathtakingly beautiful life size images of several gods. Unlike the pillars arranged in a row in other temples, the pillars in this temple are arranged in a circular fashion in front of the sanctum. This arrangement has created four large semi-circular pillars that have some of the finest sculptures of the temple. The most photographed structure within this temple is the monolith Nagalinga (a multi headed snake protecting the shiva linga). The folklore has it that this statue was built at an amazing speed and was completed even before the food that was being prepared got cooked. There is also Kalyana Mandapa (wedding place) situated behind the temple with amazing artistic sculptures. It was built to perform the wedding ceremony of Lord Shiva and Goddess Parvathi during annual festivals of the temple. There is a large open area beyond the kalyana mandapa with a large corridor surrounding the rear wall. This area was used for cultural and recreational activities during Vijayanagar rule. 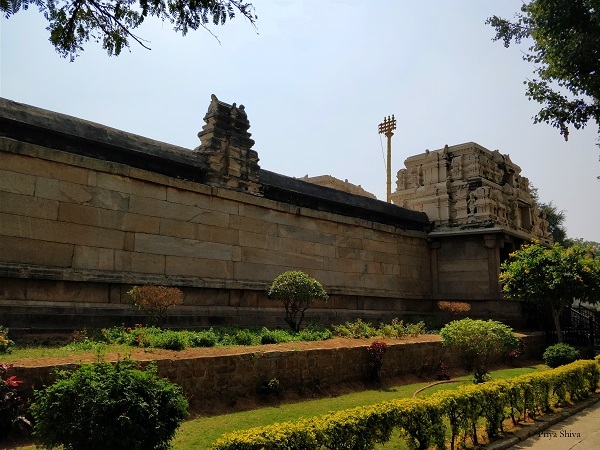 Having visited most of the Vijayanagara empire in the last two years (the hoysala empire was succeeded by the Vijayanagara empire), we could imagine how vast the rule of the Vijayanagar empire was. It spread its wings from Hampi in Karnataka to Lepakshi in Andhra Pradesh and further south extends to the southernmost tip of India where the Nayakas defeat the Madurai sultanate. Visiting these places has made us understand history better than the usual text book method of learning. It is definitely worth quoting that travel is the best teacher and lessons learnt from travel will never fade in our memories. In total we enjoyed a relaxed outing for the day with a well chauffeured car from Savaari. Do give this savaari taxi service a chance for day tours. Thank You very Much for Sharing Beautiful Post with Beautiful Photographs. Realy very Nice Place & Artical. 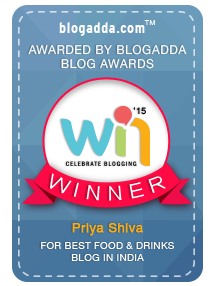 Thank You so Much Priya Ji. 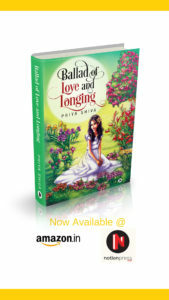 Lovely pictures and will surely visit it in coming days. Thanks for sharing. I didnt know it was so close to Bangalore. Is this place known for mirror work on cloth? I had a mirror work purse some one gave me that was supposed to be Lepakshi work. Yes. 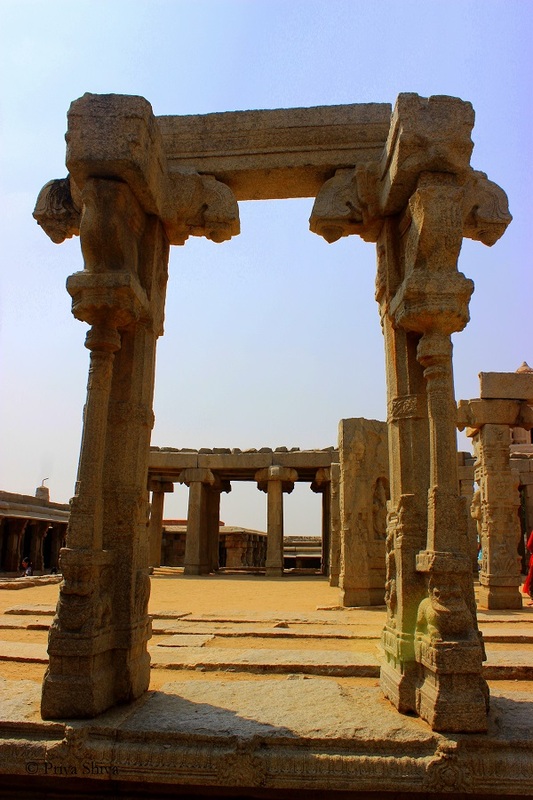 Lepakshi is known for its handicrafts especially Mirror work.